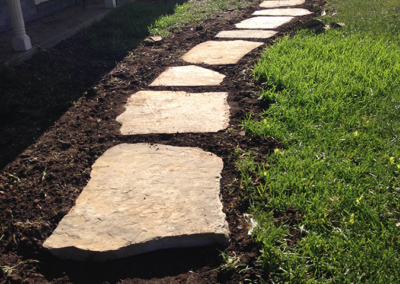 Easier cleanup – There will be less dirt and mud tracked into your home, and concrete and flagstone can be easily power-washed or swept off regularly. Level surface – Even if your backyard is not 100% level, a patio foundation can be built to accommodate and correct any amount of slope. 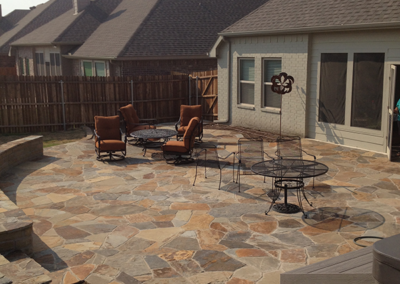 Durable and long-lasting – Concrete and flagstone patios are some of the most lasting features you can add to your home; often, you never have to repair or replace. 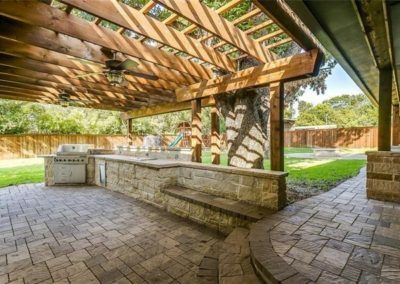 Customizable and decorative – If you choose a concrete patio foundation, there are options available for staining or coloring the concrete to match your entire home and backyard design and theme. 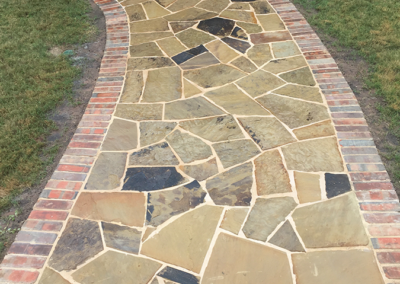 Flagstone comes in many colors and styles, and can easily be the focal point of a backyard, or a subtle addition that accentuates the overall look of your home. 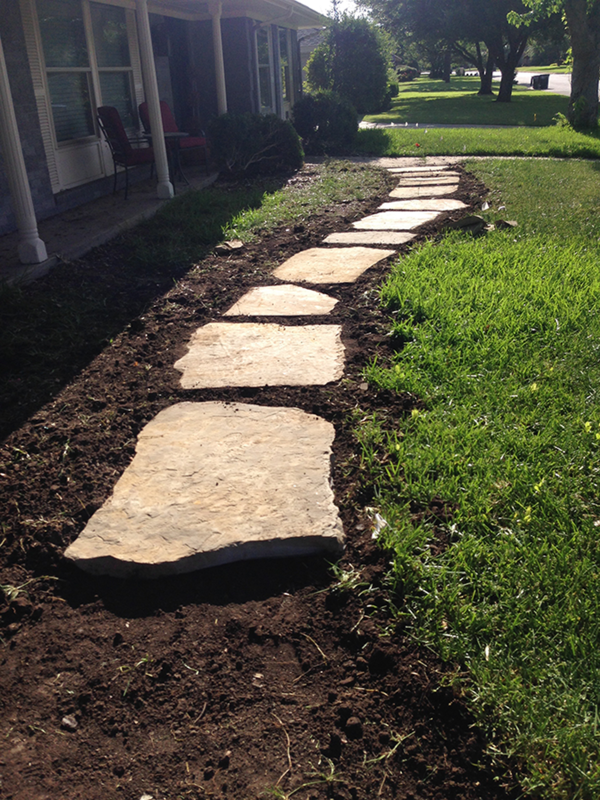 When designing your new backyard, make sure to incorporate a plan for walkways; your lawn and landscaping will thank you for it! 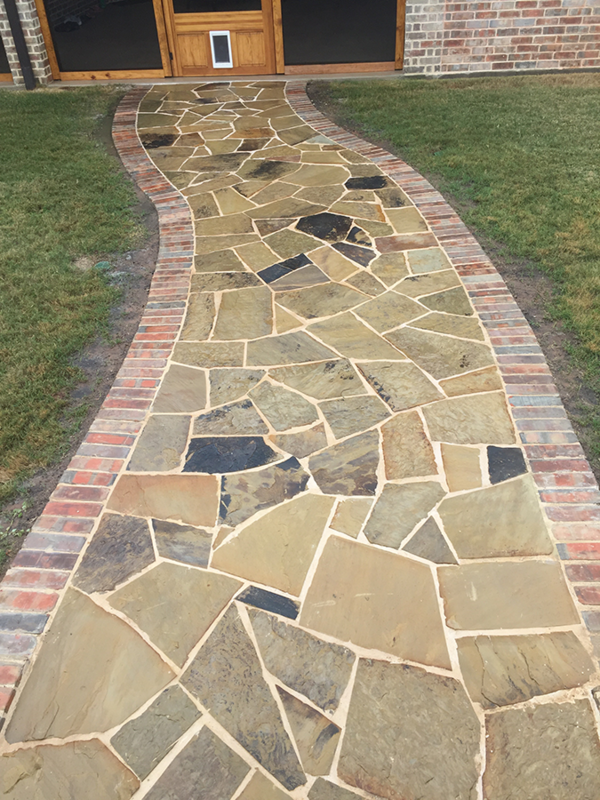 Walkways and paths, whether concrete or flagstone, are a valuable addition to any backyard design aesthetically and functionally. Here at Panther City Arbor & Patio, we aim to please! 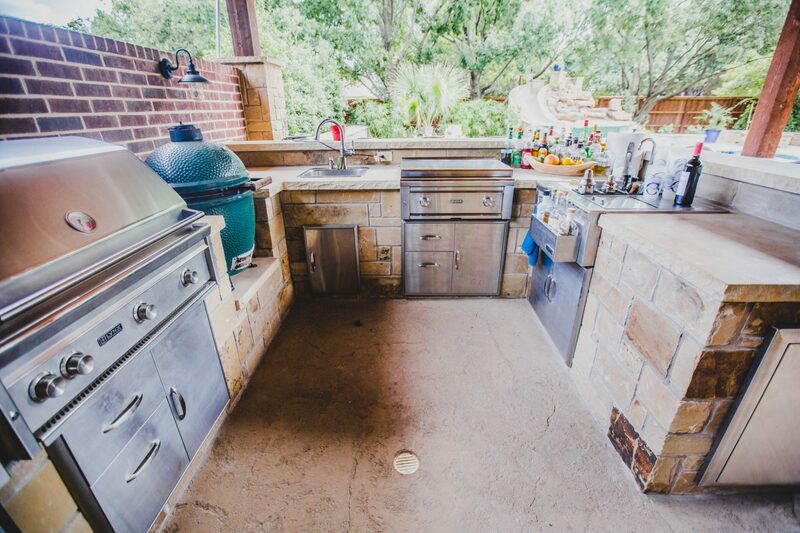 We know how much the backyard of your dreams will improve your life, and we want to share the joy we have found in bringing those dreams into reality. 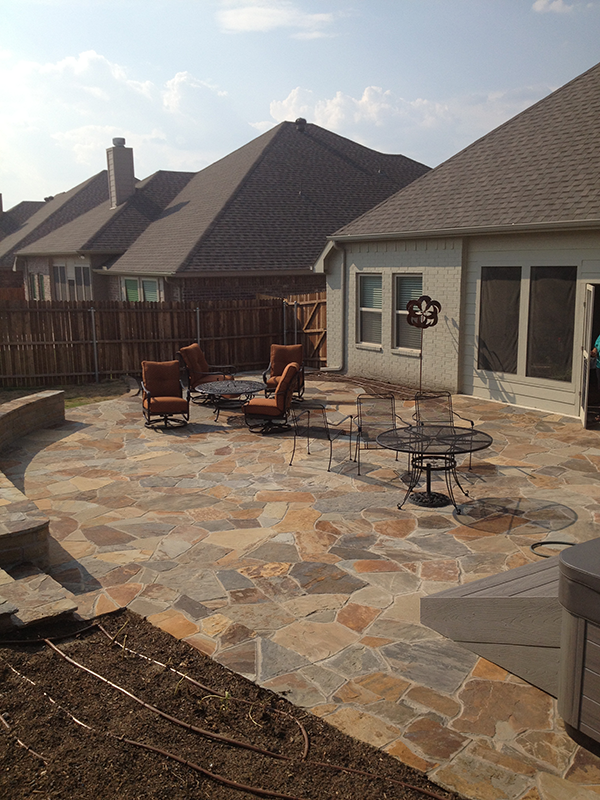 Check out our gallery of recent projects around Fort Worth below, and give us a call today to start planning your custom patio walkway or other backyard space! 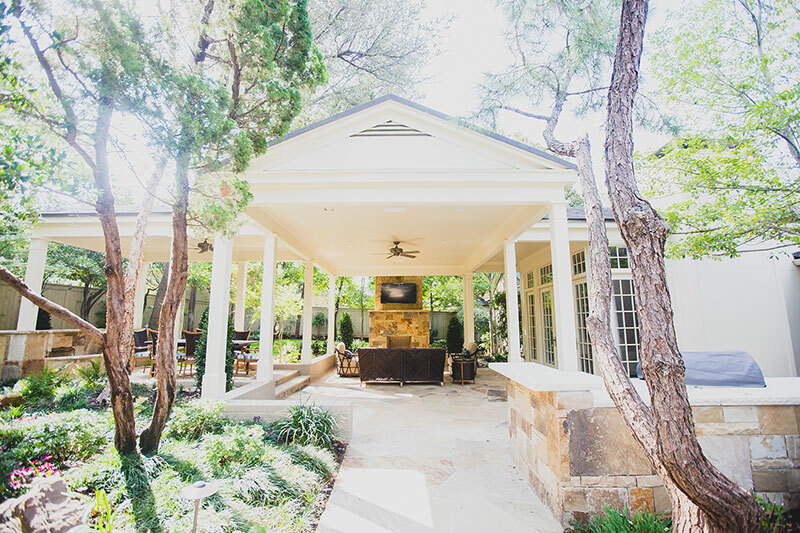 Panther City Arbor & Patio is Your Best Bet! Here at Panther City Arbor & Patio, we aim to please! 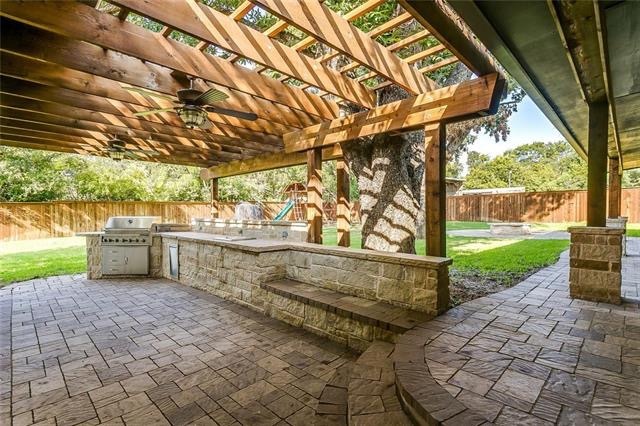 We know how much the backyard of your dreams will improve your life, and we want to share the joy we have found in bringing those dreams into reality. 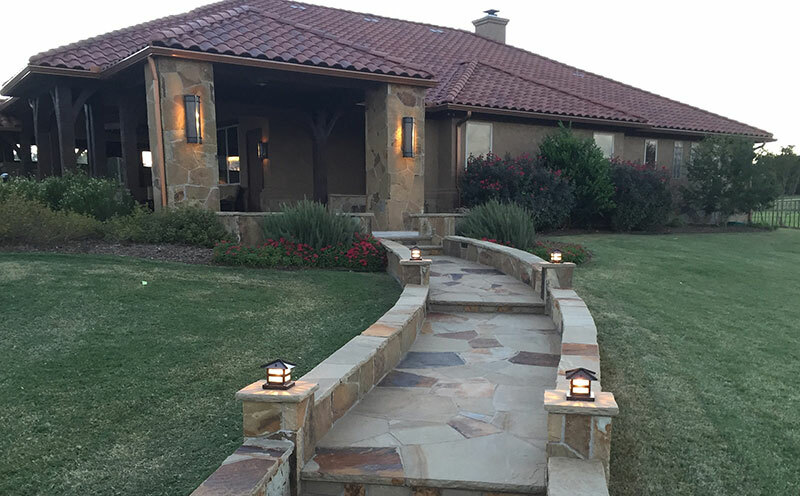 Check out our Gallery of recent projects around Fort Worth, and give us a call today to start planning your custom patio walkway or other backyard space!